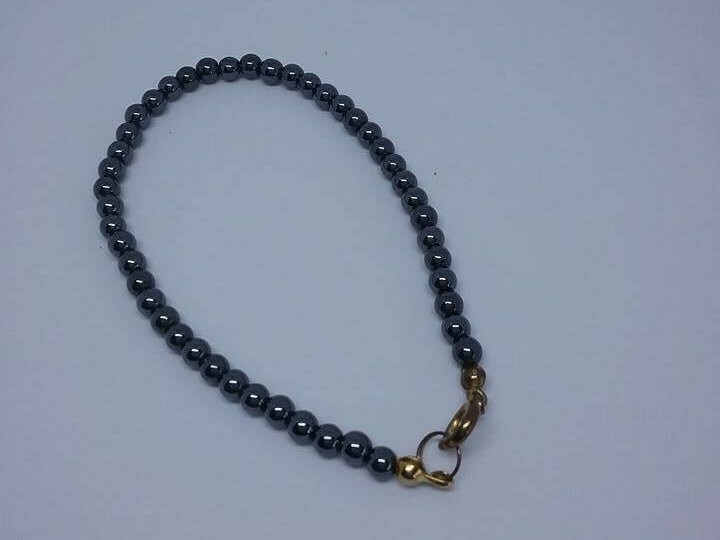 Women's hematite seed bead bracelet with round closure clasp. 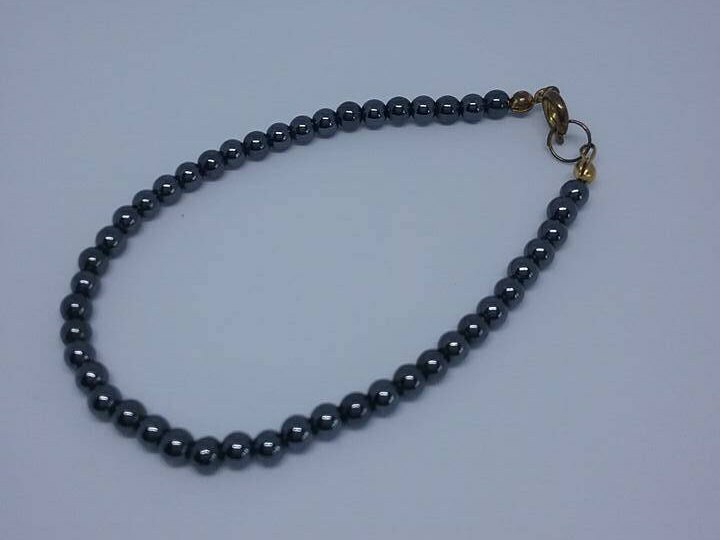 Delicate hematite bracelet shines and shimmers with sheer beauty. Layer with other bracelets or let it stand apart. 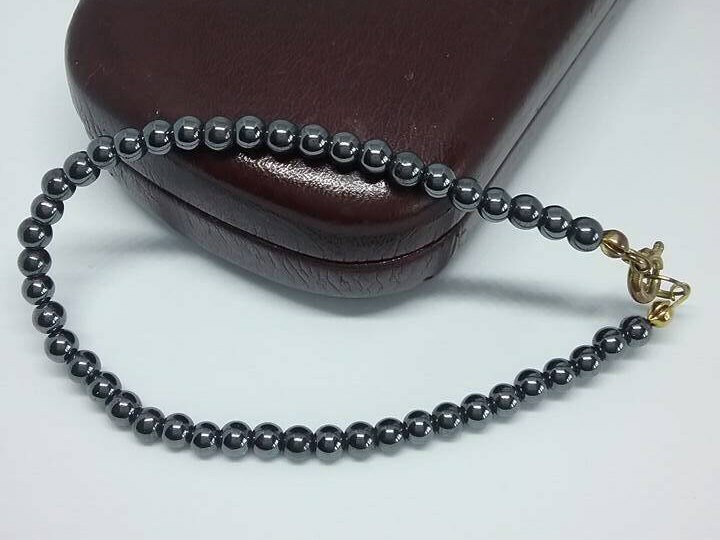 It is said that hematite provides sense of calm.